Episode 19: Interview with Jax Jones! 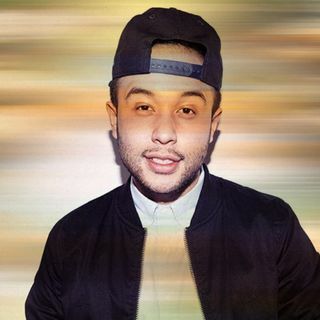 Jax Jones is a London-based DJ and producer whose sunny, uplifting house tracks incorporate a wide range of musical influences. Born Timucin Fabian Kwong Wah Aluo in 1987, he grew up listening to rap, gospel, Afro-beat, and numerous other genres and began making beats as a teenager, initially as a hip-hop producer. He got into house music after meeting Duke Dumont, and the two collaborated on the song "I Got U," which became an immediate hit when ... See More it was released in early 2014, topping the U.K. singles chart. Jones released his debut single, "Yeah Yeah Yeah," in 2015, and co-wrote Dumont's summer hit "Ocean Drive." In 2016, Jones released the single "House Work," featuring British vocalist MNEK and Chicago house veteran Mike Dunn. Featuring vocals from U.K. singer RAYE, Jones' next single, "You Don't Know Me," became his biggest solo hit yet, reaching the Top Ten on numerous charts around the world. He followed up in 2017 with the Demi Lovato and Stefflon Don-assisted "Instruction."